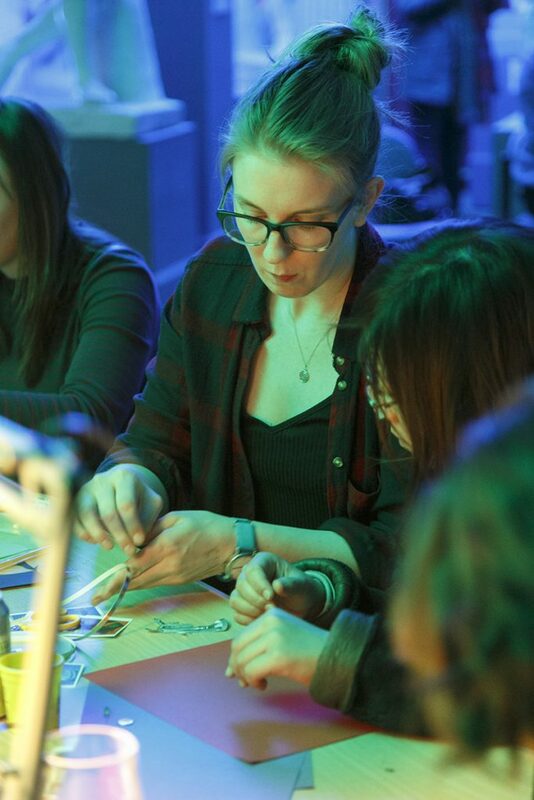 The University of Cambridge Museums Digital Maker Residency ran between January and March 2018. 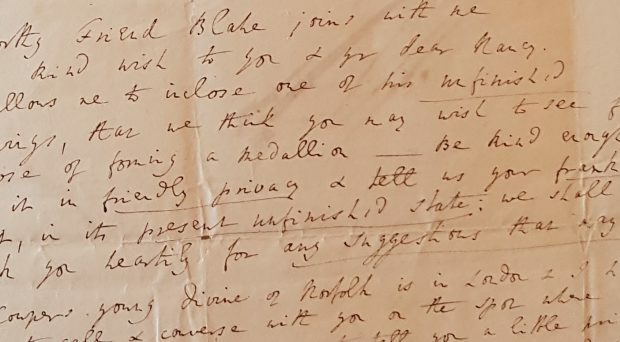 In this blog post we give an overview of the project and consider what we found out about the creative potential of digital making in museums. 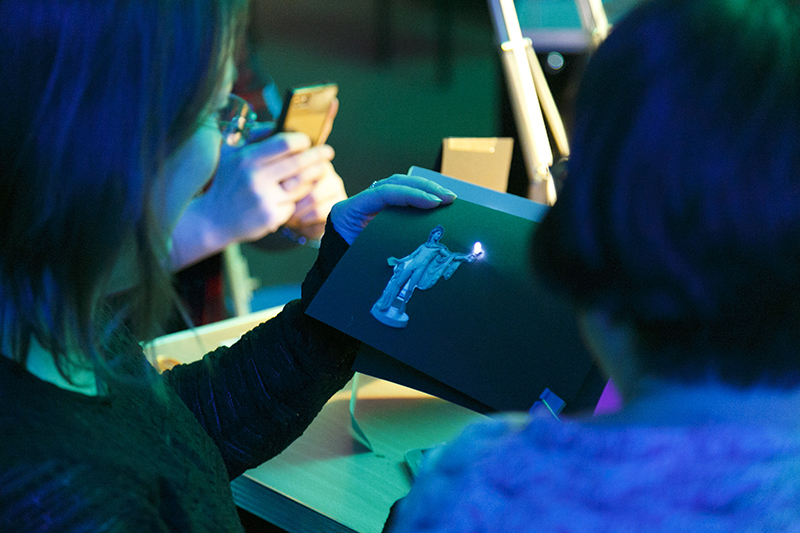 The University of Cambridge Museums (UCM) Digital Maker Residency ran between January and March 2018. 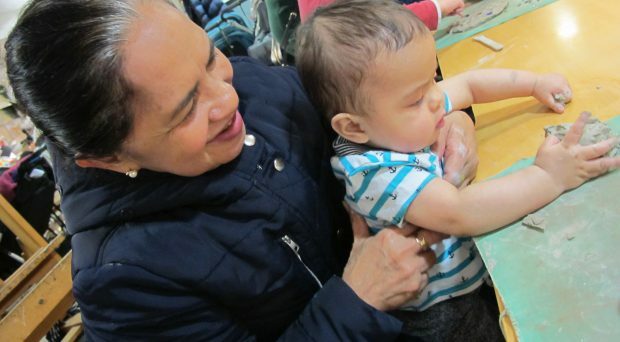 Over the course of the residency 195 children took part in digital making workshops and there were 67 staff engagements with our bitesize and training programme, as well as over 100 adults and families through pop-up activities. 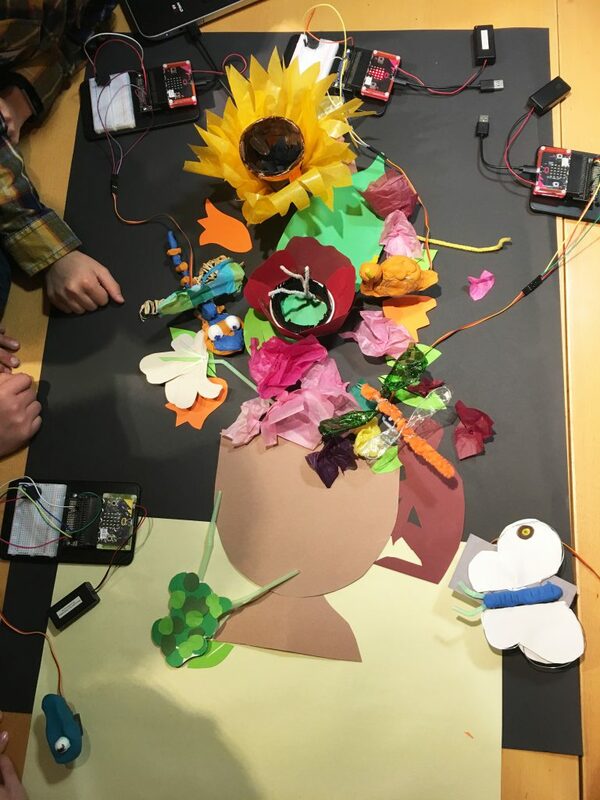 This blog post gives an overview of the project and what we found out about the creative potential of digital making in museums. What is Digital Making and why? Digital making involves ‘learning about technology through making with it’ (Young Digital Makers, nesta, 2015). It brings together art and technology while providing tools which might allow anyone to become active creators. “Maker Culture” emphasises learning-through-doing, informal, peer-led, and shared learning motivated by fun, curiosity and self-fulfilment. Residencies can be powerful in making connections across disciplines and across different ways of thinking. So we decided on a Maker in Residence to stimulate our own mini museum makerspace movement – with limited space, resources and budget. With this in mind, we were keen to develop a partnership with the local Makespace which is just around the corner from the museums and offers a learning space as well as equipment and expertise. We had an open call out and fantastic makers applied; each one would have shaped the residency in a unique way. 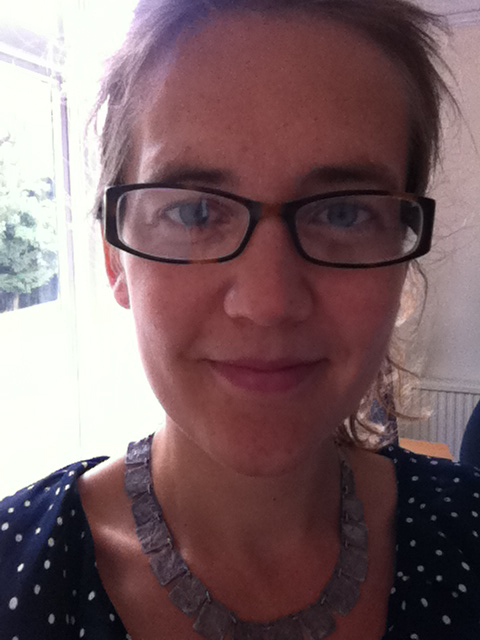 We selected Katy Marshall, an artist, maker and educator from Cambridge. 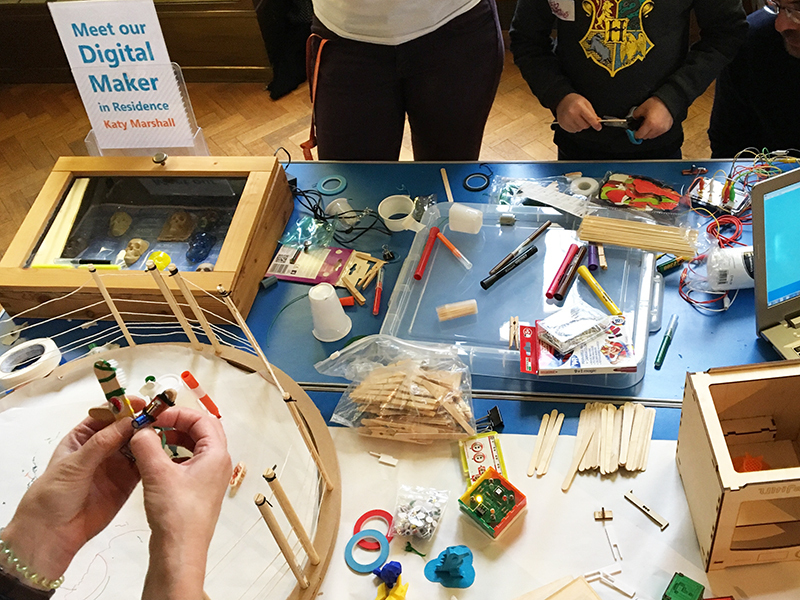 We hoped that the project would inspire staff, teachers, parents and young people to become digital makers and enable us to explore ways in which we might integrate digital making into the museum experience. We were particularly interested in how digital technologies might come together with traditional creative processes and how we could support the development of skills, confidence and motivation to empower young people to make, design and use digital technologies. We also had a subsidiary question about how inter-disciplinary projects of this kind might extend our own professional practice and develop digital skills and confidence within the UCM consortium. From a wider digital engagement perspective, it was important to consider how we might support the development of digital skills while developing a sustainable program and ways of working through collaboration. It was important to create a project which could be sustainable and stimulate an ongoing conversation. In the spirit of the maker culture, we wanted to see how we can develop a digital making offer but as well how we could learn from the processes to become more creative, iterative and collaborative across the museums, an important approach for cultural organisations to stay sustainable and relevant. 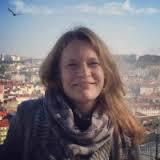 How might we incorporate digital making into the UCM public programmes? How might we learn from the maker culture for engagement across the UCM? How might we support the development of staff skills and confidence in this area? How might we create a sustainable model for digital making activities? We programmed several different types of events to try and make the most of the time Katy spent with us and to explore a variety of formats and audiences. This also allowed Katy the opportunity to think about different ways to engage and use technologies as an artist and educator. 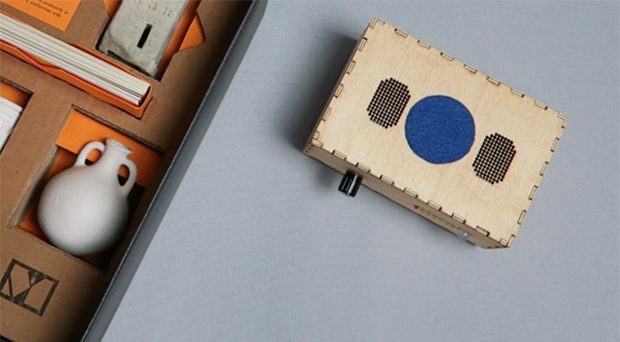 At the Museum of Zoology, animals in the collection were the inspiration for 3D paper models which were brought alive with the addition of sound and movement using Micro:Bit. 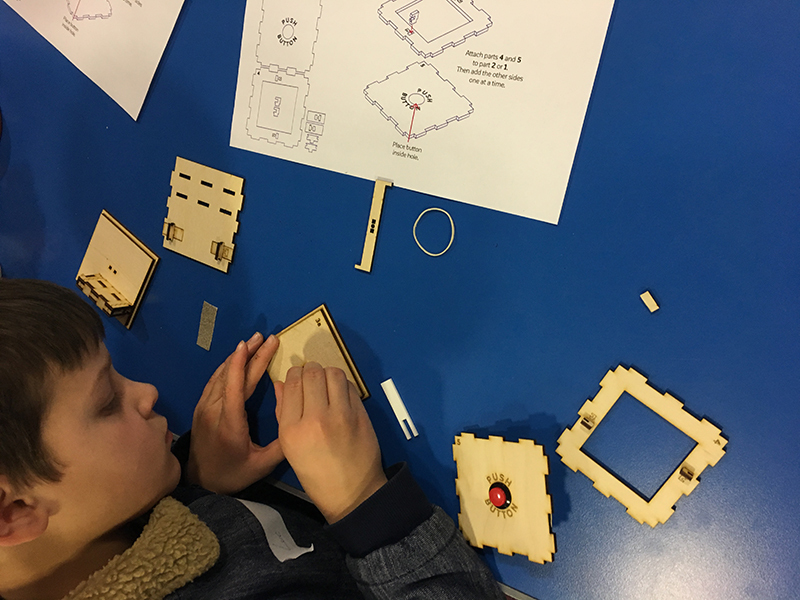 At the Fitzwilliam Museum, the Codebreakers Digital Making workshop gave young people the opportunity to visit the Codebreakers and Groundbreakers exhibition, make their own puzzle box and then programme a secret code to unlock it using Makey Makey. 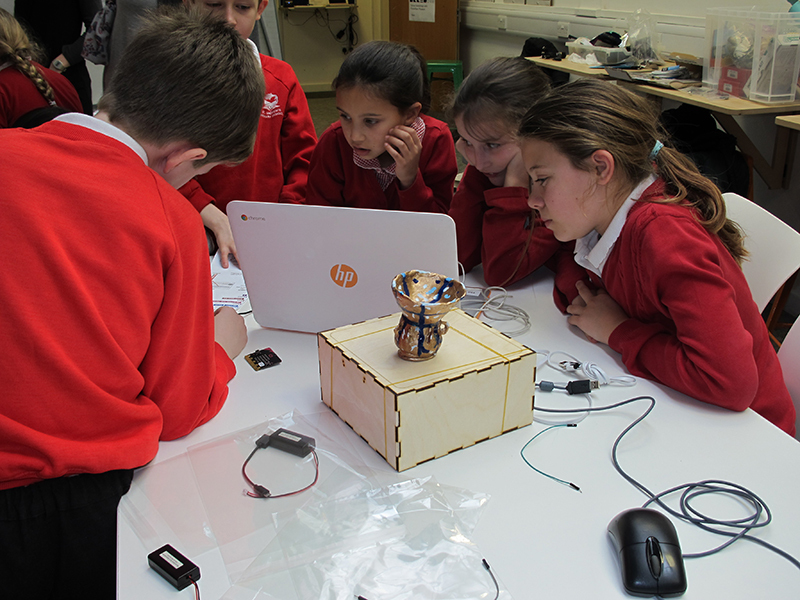 At the Makespace school group designed their own ‘Museum of the Future’ by adding sound, light and movement to replica museum objects they had made at school. At the Museum of Classical Archaeology, adult visitors to a late Under the Fig Leaf event were respond creatively to the cast collection by using LEDs to embellish adult greetings cards. In order to make the residency as visible as possible to UCM staff and visitors we also had pop-up maker activities in the exhibition spaces at the Fitzwilliam Museum and Museum of Zoology. All these activities involved traditional art making and skills but a digital element extended the scope of the activity. As this was an exploratory project it was important to document the project as part of this process so we collected lots of different kinds of data including questionnaires, field notes, photographs and interviews. There was a high interest in the residency from both audiences and colleagues within the UCM. The challenge of incorporating technology and tweaking it to make it work was perceived by participants to be both exciting and fun. 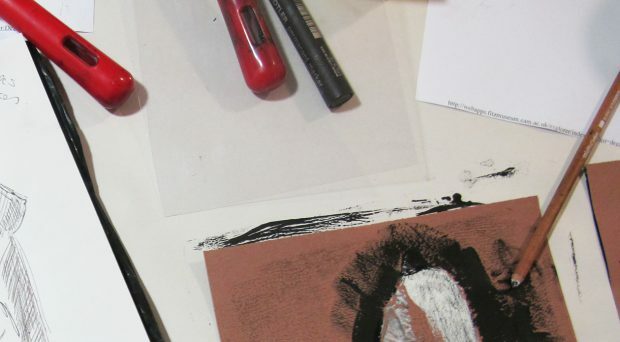 Throughout the residency there were many examples of participants developing skills and confidence making with digital technology alongside more familiar art and craft processes. Participants enjoyed making links between the collection and the making activities and these links were interesting, relevant and motivating. The digital making activities stimulated critical thinking and problem solving and encouraged collaborative learning. Feedback also demonstrated the high level of enjoyment and reward experienced when engaged in high quality creative activities. The project gave staff an opportunity to discuss and reflect on the role of technology. The peer-to-peer learning opportunities the project facilitated were both inspiring and effective in developing new digital skills and confidence. 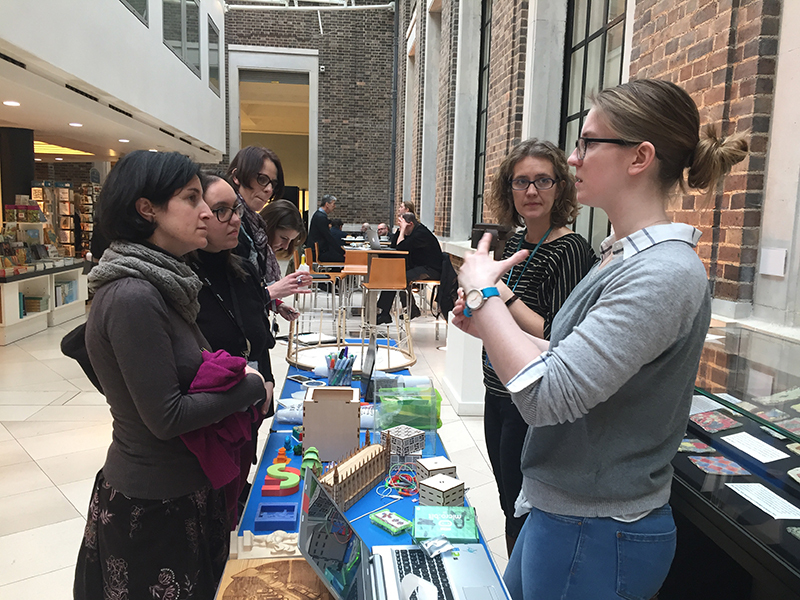 The residency has stimulated interesting conversations and ideas about technology and digital making across the museums, bringing together staff from different departments and museums in ways we hadn’t envisaged. We also found out about 3D printers, laptops and laser cutters at the museums that no one knew about. 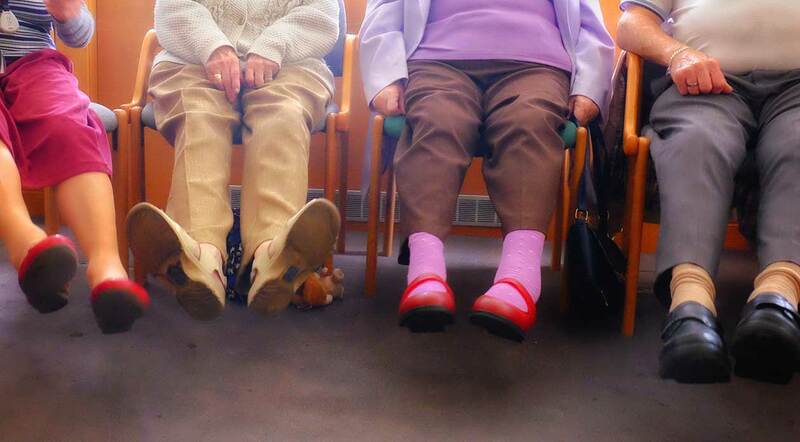 The project supported the development of new perspectives on digital by encouraging people to have the confidence to try things out and be creative and flexible. Ensuring the project was visible in our museums and exhibition spaces created opportunities for new conversations with staff and audiences. 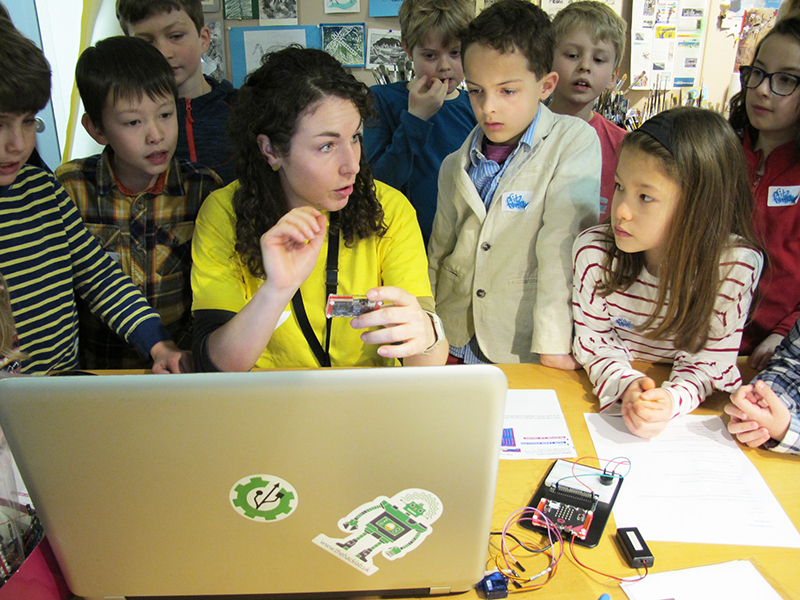 The Digital Maker provided a powerful role model to young people, especially girls. The project team had to work hard to manage the process and align different ways of working and agendas. With such high interest in the project we were mindful of not overloading Katy and adding extra work but also keeping open to new conversations and potential collaborations. It was vital to allow time for the Digital Maker and staff to reflect, iterate and learn throughout the residency. It takes time to change digital mind-sets and embed new skills and processes. The work needs to be properly resourced and managed in order to become further embedded within UCM programmes and teams. 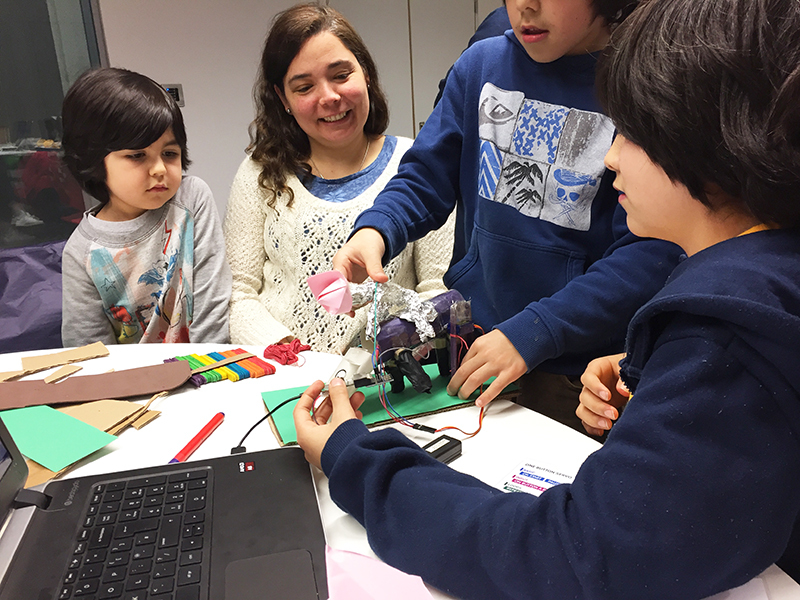 There are clear opportunities within the our public programmes to incorporate digital making activities within the UCM wider offer for families, schools and young people as well as for adults. We would like to continue to develop our relationship with the local Makespace. We would like to continue to collaborate with teachers and schools to create a digital schools program and to explore the opportunity to work with other museums. The project helped us to explore the creative possibilities of digital technology with colleagues across departments and museums and raised awareness of existing equipment and skills. There is great potential for more exciting collaborations there! The collaborative nature of the project allowed us to experiment across museums and departments and to stimulate the creativity of our staff and audiences. The residency offered an opportunity to experiment with a more agile, iterative and human centred approach to digital engagement. We were able to test ideas and new approaches that are low risk and easy to achieve, but which could potentially have a big impact and trickle across organisations and departments. We are currently reviewing the UCM Digital Development and Action Plan and this project will feed into this process. 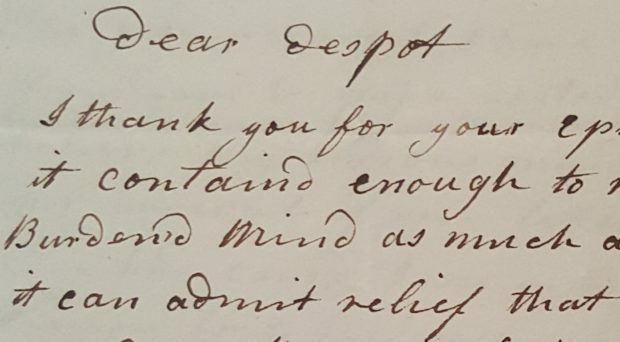 With special thanks to the UCM Team and colleagues at the Fitzwilliam Museum, the Museum of Classical Archaeology, the Whipple Museum of the History of Science, the Museum of Zoology and to Katy Marshall and makespace. If you would like to know more about the project and about outcomes staff and children and young people you can download a copy of the full report here. If you would like to be involved in the next stage of the project please contact kjr21@cam.ac.uk.